I hope you have enjoyed the long Easter weekend. 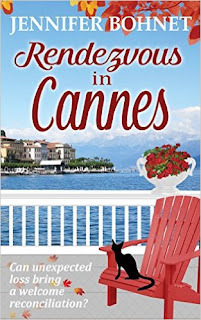 To finish it off in style I’d like to wisk you away to the south of France where you can enjoy some time in the pleasurable company of the novels of Jennifer Bohnet, one set in Cannes and one in Monaco. Rendezvous in Cannes is set amidst the excitement and glamour of the Cannes annual film festival. As you would expect it is full of the glitz of designer clothes and accessories, with diamonds sparkling in the light of the paparazzi flash bulbs and parties full of stars. 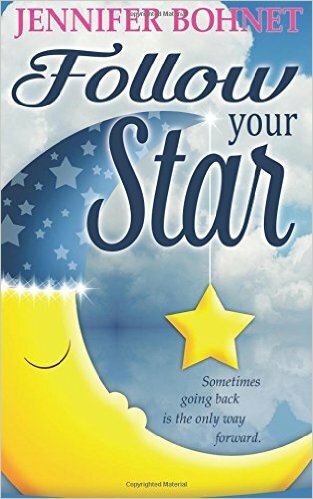 Two of the characters in town for the event, Daisy and Anna, are both at a time in their lives when they have got new adventures to look forward to, but there are things in the past that need addressing first. There are secrets that have been buried for too long and although it may at first seem too late, the past isn’t quite ready to let them go just yet. There is a lot of sadness surrounding Anna and without the love in her life from Leo she would have been very lost and alone, despite the crowds and buzz of Cannes. Her story is from a past where things were done differently and decisions were made in the belief they were for the best. I felt very sorry for the young Anna. Daisy is young, single, energetic and keen to move her life and journalist career in a different direction, but unsure of where to start. I enjoyed getting to know Daisy and especially loved the little snippets from her daily reports, usually written outside a café, with a coffee and a croissant, where she was being paid to write and people watch, lucky thing. Jennifer’s writing was not only sensitive in the emotional scenes, but also brought Cannes alive and I could feel the electricity of the festival. If you love the South of France don’t forget to pack this book for your holiday this summer. 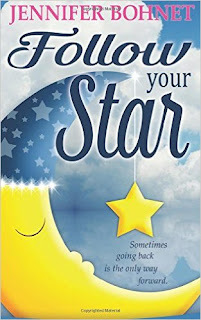 Follow Your Star has a real mix of different characters, all with their own story lines, and all entwined around the wealthy lifestyle of those lucky enough to live in Monaco. There are apartments with balconies and harbour side views, fine dining in the hills above Nice and the roar of Formula 1 that comes crashing into daily life, but there is also a secret from the past that seemed to have been forgotten. Nanette was once part of the F1 circus as the PA and fiancée of racing driver Zac Ewart. She organised parties on his yacht and attended events on his arm before a car accident three years ago, that she can’t remember, left her ostracised and alone. Monaco, Zac and the privileged lifestyle were firmly in her past, until her best friend Vanessa asks her a huge favour. Her decision leads to many questions. Can she face returning to Monaco? Will it help to trigger her memory? How will she avoid bumping into Zac? Although her life stopped abruptly with the accident, the Monaco social scene continued, but there are now new faces and it seems there are also dirty deals being done. This shady side of life in Monaco added suspense and tension. Who is involved and how risky it is will be something else for Nanette to discover as she attempts to move on with her life. If the buzz of Formula 1 and the lifestyle of the rich and famous is where you want to be, if only on a short break, this book would be a perfect escape. If you would like to make it a hat trick, I can also recommend You Had Me At Bonjour another novel by Jennifer also set in Provence. See here for my full review but this is an easy to read book that left me feeling happy. All three novels can be purchased in ebook format from Amazon. I was sent review copies of Rendezvous in Cannes and Follow Your Star by Jennifer Bohnet.